American Football is vastly popular in North America. The NFL is, by extension, among the most profitable and popular professional sports organizations out there. Most enjoy the sport either via television, live events, or playing pickup with friends outside. Football season is long, and includes both professional and college level sports. Your smartphone can help make sense of all of the action. Here are the best football apps and NFL apps for Android! It’s not listed, but of course, YouTube is an excellent app for football fans as well for highlights and such! Here are some more football apps for you! ESPN has a ton of content for football fans. In fact, it's probably the sport that ESPN takes most seriously. It covers the basics, such as scores, schedules, news, rumors, trades, and stuff like that. ESPN also has a fairly decent fantasy football option. Their newer streaming service, ESPN+, also streams a variety of sporting events. They don't do NFL streaming, sadly. However, you can see some college football there. The app is a little heavy. Those looking for a more minimal experience won't enjoy this. However, if you don't mind that ESPN has a ton of stuff, it's not a bad way to go. There are a ton of NFL and football news sites. Most of them have dedicated apps with a ton of extra features. Feedly helps simplify the experience. It's an RSS news app. You can add all of the football blogs and sites you enjoy. The app provides a single feed for all of those sites. It can't do stuff like schedules, live scores, or anything like that. However, it's probably the best way to get news from everywhere without downloading a bunch of apps for each website. Plus, Feedly is free and cross-platform. It also works with iOS devices. NFL Mobile is the NFL's official app. It has a decent amount of content. You can find schedules, news, stats, highlights, trades, rumors, and more. 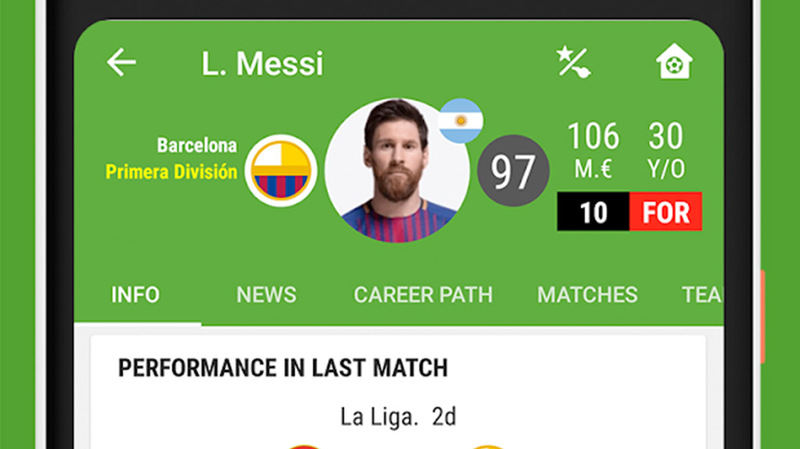 The app also lets you follow specific teams and news for only that team. It's a little clunky, but nothing too bad. This is also the home of NFL's Game Pass streaming service. It costs $99.99 per year or $24.99 per quarter of a year. You can watch every non-blackout football game. That means you can't watch home team games, but you can watch anything else. There are other options for live streaming, but the content and news is fairly top notch. Sling TV (and similar services) stream live television. They don't stream football specifically. However, all of them come with football packages and most of them come with local sports channels at the very least. You can watch home team games this way as well as college football. Plus, there are all of the other cable channels for the days of the week without football. There are five major options in the United States. They include PlayStation Vue, Sling TV, Hulu, YouTube TV, and DirectTV Now. We have a comparison video linked just below if you want to see what they can all do. theScore is a decent sports news app. It offers up news on a variety of sports, including the NFL and NCAA football. It shows the usual stuff, including scores, stats, schedules, lineups, and news. You can also customize the experience with your favorite teams and/or sports. It's a solid source of news. The app's UI is in the middle of a revamp at the time of this writing. Some people like it while others don't. The app is entirely free, though. We have some more app list recommendations to check out! Thuuz Sports is another excellent sports news app. It comes with the basics. You can find schedules, scores, stats, and more. The app also rates live games on a scale from 0-100. The hotter and more exciting the game is, the higher the rating. It also has a fantasy sports tracker, alerts, social features, and more. It covers far more than just football or the NFL as well. The app is free with no in-app purchases. It does have advertising, though. SofaScore is a sports scores app and one of the best. It covers sports from all over the world, including hockey, soccer, football, and many more. The app even covers niche stuff like rugby, volleyball, and others. It's a fairly simple app. You pick the sports you want to keep track of and the app does the rest. You check scores and schedules as needed. This is an excellent football app for fans that also like other sports. It's also relatively cheap, easy to use, and it even looks nice. TuneIn Radio is one of the better radio apps. It has a variety of stations, including talk radio, comedy, AM radio, FM radio, audiobooks, and more. That includes sports talk radio stations, local sports radio stations, and even live games. There is an optional subscription service. It boasts live football and NFL games. It has other sporting options as well. The UI is nice and the streams are high quality. This is an excellent way to catch a game while driving or at work. However, it does not do video streams. There are other apps for that. Twitter can be a horrible place. However, if you can avoid the terrible parts, it's a great way to check the news. Most NFL teams, NCAA teams, and sports writer personalities have Twitter accounts. You can follow them to get up-to-the-minute scores, news, and updates. There are hundreds of Twitter profiles that deal almost exclusively with sports. You follow them and you'll see what happens in football before the 11 o'clock news. It's about the only social network worth using for football and NFL news. Yahoo Sports is among the largest NFL and football news sources out there. It has all of the stuff you'd expect. That includes lineups, stats, schedules, news, scores, trades, rumors, and more. Yahoo also has one of the best fantasy football options, but that does require a different app. Yahoo Sports streamed the Super Bowl in 2018. We don't know if it will in 2019 also. However, it should be an above average experience for football even without it. Plus, it works well for other sports too.